Since 1939, The American Society for Public Administration (ASPA) has been committed to the advancement of excellence in public service. With more than 10,000 members, ASPA promotes recognition of public service, develops a substantive dialogue on current issues, and enhances the professional development of its membership. The National Capital Area Chapter (NCAC), one of 57 national and international chapters, has over 350 members, and is one of ASPA’s largest chapters of public administration practitioners, academics, and students. NCAC has won awards for the board’s leadership and its newsletter. NCAC connects people to improve government and promote both the value and experience of public service. NCAC will be the premier organization to interact with other national capital area public service professionals with similar career paths and professional challenges. Click here to read our chapter’s bylaws. Judy England-Joseph is a consultant with the Partnership for Public Service and Management Systems International working on domestic and international government performance and accountability issues. She is a retired executive from the the Government Accountability Office (GAO) and was responsible for housing, community and economic development, emergency management, small business, telecommunications and energy issues. Judy is an adjunct professor at George Mason University and a National Academy for Public Administration Fellow. She is a graduate of American University. Sarah (Sally) Jaggar: Independent consultant, strategic adviser, and lead researcher working with National Academy of Public Administration (2013 – present), the Partnership for Public Service (2005 – 2013), Zelos LLC (2013 – 2017), and other organizations. Her federal career was with the Government Accountability Office where she was Managing Director in the Human Capital Office and Managing Director of Health Financing and Public Health Issues, among other functions. She is a Fellow of the National Academy of Public Administration. 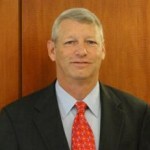 Allen is an independent consultant after retiring from the federal government with over 30 years of service. Most of his federal service was with the U.S. Government Accountability Office where he led studies on such issues as performance measurement, strategic planning, national and community indicator systems, and pandemic influenza. 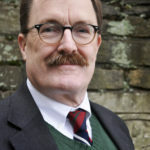 He is very active in serving his community—Alexandria, Virginia—either chairing or serving on the governing boards of several community coalitions. Allen holds a Master’s in Public Administration from George Mason University and an undergraduate degree from Northeastern University in Boston, Massachusetts. Alex Anton is currently Senior Manager of Policy Research Operations at George Mason University’s Mercatus Center. He holds a Master’s in Public Administration from George Mason University and a Bachelor’s in Political Science and Government. Paula Acevedo is a Grants Management Specialist with the National Institutes of Health (NIH), National Institute of Allergy and Infectious Diseases (NIAID). Prior to NIAID, Paula worked in the nonprofit space focusing on K-12 and post secondary education policy research and advocacy. Paula has also held positions at the International Trade Administration, the National College Access Network, and the Committee for a Responsible Federal Budget. 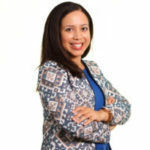 Paula holds a Master’s in Public Administration from American University with a focus in Public Policy Analysis, and a Bachelor’s in Business Admiration from Florida Atlantic University. Michael joined ASPA as membership coordinator in August 2015. He earned a Master’s of Public Administration (MPA) from George Mason University’s School of Policy, Government and International Affairs. Michael also holds a BA in Cross-Cultural Studies and Business from Simpson University. With a focus in the public sector, Michael has worked for local and international nonprofit organizations. He started his career at the Boys and Girls Club of America and then in 2012 worked on a community development project in Uganda, Africa. Academically, Michael has special interest in community development and civil society creation as well as Eastern Europe where he completed a quarter of his graduate level classwork. 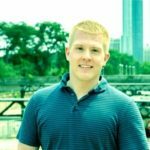 Prior to ASPA, Michael spent several years working with student populations where he gained event and project management experience and an organizational and customer service skillset. He was the graduate professional assistant for Student Centers; a founding member, vice president and treasurer of the Masters of Public Administration Student Organization. He also served as the vice president of the Graduate and Professional Student Association at George Mason University. 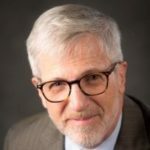 Billy is the founder of BL Insights, where he helps public-serving institutions become more effective identifying, achieving, and communicating their strategic value. He brings a scientific approach to his work, having been a career scientist and educator at Yale University. I became interested in public administration through local government. Billy served on his town’s Inland Wetlands Commission for 12 years. 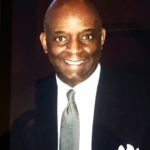 Ronald Langston is a senior consultant for the Stevenson Group (TSG) and current owner and principal of Langston Global Enterprises. He also serves as a Trustee at Butler University. Mr. Langston previously served as the National Director of the U.S. Minority Business Development Agency. He holds a Master’s in Public Administration (MPA) from the Harvard Kennedy School of Government, a BA in Political Science from the University of Iowa. Jenny is a independent consultant with the Senior Executives Association (SEA) working on human capital and government management policies and programs. Prior to entering the world of consulting in 2018, Jenny was the Executive Director of the federal cross-agency Performance Improvement Council (PIC) and the Director of the White House Leadership Development Program (WHLDP). Before her stint inside the federal government, Jenny served as the Director of Government Affairs at Shaw Bransford & Roth, where she oversaw a portfolio of federal civil service focused clients – both leading coalitions such as the Public Employees Roundtable and the Coalition for Effective Change, as well as managing the legislative strategies for clients such as the Senior Executives Association and Professional Managers Association. 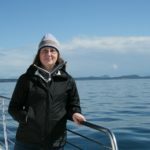 Jenny holds an MA from the George Washington University and a BA from Whitman College. Whitney Meyerhoeffer is the Director of Communications and State Chapter Relations at the American Mental Health Counselors Association, responsible for publications, email marketing, advertising, continuing education, branding, public relations, component relations, website design, and graphic design. Before joining AMHCA, she worked for multiple nonprofit organizations building skills in communications and management. Prior to that she served as an Americorps member. Creativity, hard work, and leadership are her strengths and she is always up for a challenge. To learn more and see a complete resume visit www.whitneymeyerhoeffer.com. William Rogers is a senior policy and military operations analyst with Systems Planning and Analysis, Inc. in Arlington VA. A retired Coast Guard Officer with 24 years experience in afloat operations, human resources management, strategic planning, and program evaluation, he also served with the Department of Transportation project teams that helped establish the Transportation Security Administration. Bill holds B.S and MPA degrees from American University and an MA in Security Studies from Georgetown University. supervisors, assessment staff, human resources specialists, investigators, auditors, and compliance officials. In addition, she has conducted program evaluation, organizational development projects, team building exercises, and quality improvement programs in the Department of Education, Department of Agriculture, Department of Defense, and Internal Revenue Service. 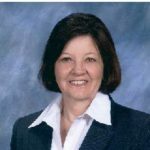 Carol has taught masters’ degree courses in public administration, graduate and undergraduate courses in interpersonal and organizational communications and doctoral courses in adult education and human resource development. Carol has written two books, over 20 refereed journal articles, and has presented over 25 research and practice reports at academic and professional conferences nationally and internationally. Carol holds a Ph.D. in Adult Education and Human Resource Development, a MPA, a MA in Curriculum and Instruction, and a BA in English. Erica is a strategy and social impact professional with Herren Associates, where she has the privilege of working on a wide variety of Federal projects as a consultant, developing Veteran economic opportunity programs, creating military health system improvements, and supporting the Performance Improvement Council in its mission to drive performance management government-wide. 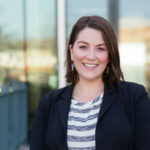 Erica has also held positions with Booz Allen Hamilton doing cross-governmental initiatives in cybersecurity and STEM education, and the Partnership for Public Service as a researcher studying innovation in the Federal government and learning good government management principles.